What is a Fresh Stop? Fresh Stops are communities that offer shares of beautiful, farm-direct, sustainably-grown fruits and vegetables to people on an income-based sliding scale. Families who are financially able to, pay more, and low-income families who can't, pay less. Fresh Stops have the power to transform our industrialized food system. 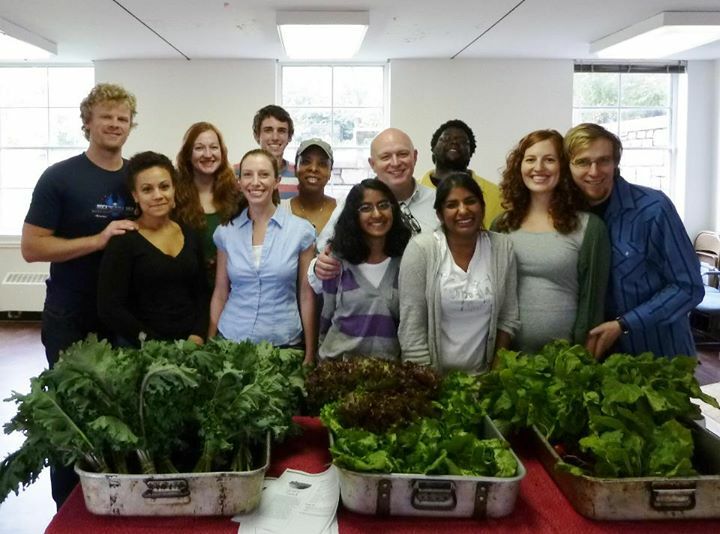 Community centers, churches, schools, mosques, and synagogues have the power to use their locations and volunteer power to counter the threats that heart disease, hypertension, and poverty pose to communities where vegetables are "luxury items." But affordable, healthy foods aren't luxury items. Access to health is a human right. That's why, through Fresh Stops, we're transforming our food system from the bottom up, teaching communities with hands-on education that both provides access to healthy foods, learning how to cook and love veggies, and transforming our relationship with our community and the earth. Let's say you made less than 24K per year: at the Fresh Stop, you'd only pay $12 for a share of produce. And if you made more, you'd pay anywhere from $20 to $30 for the same share of farm-direct, organic produce. At $30, you still pay less than you would for conventional produce! Farmers love the guaranteed bulk orders. When you come to pick up your Fresh Stop share, participants will invite you to linger over coffee and conversation, recipes and samples, and fun and games. And if you visit our classes, you can learn with us about how our eating choices affect our health, the health of the earth, and the health of our communities. The model is growing. Last year alone, organizers in Washington DCs Columbia Heights and H Street neighborhoods, Louisville, and Indianapolis built four Fresh Stops: with more in the works. Join us!